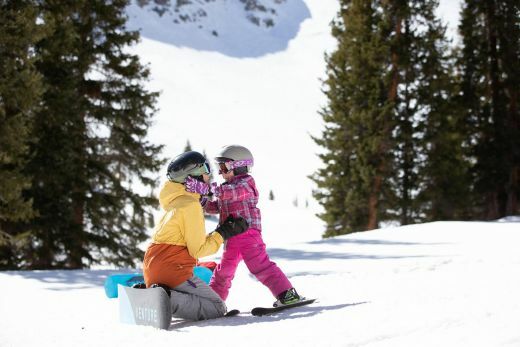 An incentive that allows car poolers to park for free close to the lifts at Arapahoe Basin ski area in Colorado has proved popular, the resort’s COO Alan Henceroth reports. A Basin began to offer free parking for cars with at least four people in its ‘prime parking’ area which represents the best positioned 200 spaces in the resorts 1,900 car parking lot. Mr Henceroth reports that since introducing the offer, 71 percent of vehicles in that area have been free car poolers while 29 percent have paid the $20 parking fee which applies to cars with less than 4 people inside. Patrick Thorne, also known as the Snow Hunter, is an industry expert in all technical developments in snow sports. In addition to his work Patrick is also father and knows the importance and fun of kids on snow.